First Baby Pics! ESPN Analyst Jay Williams Welcomes Baby Girl — What’s Her Name? Former NBA player and ESPN basketball analyst Jay Williams is a dad for the first time! Dear @nbonacorsi True love is your soul’s recognition of its counterpoint in another. For years I struggled to find my true self. I was lost and fractured.... but by God’s divine grace I met you. My angel. You pushed me in every aspect of my life to be the best version of me. Not every day has been easy but the one thing I know is that our souls were meant to battle this life together. You inspire me. You make me think in ways I never thought existed. You love harder than anyone I know. You are a gift I thought I never deserved. Everything I’ve never done I want to do with you. I just want to thank you from the bottom of my heart for being the reason I look forward to the next day. Happy 30th birthday to the most special person on this planet. This is just the beginning. 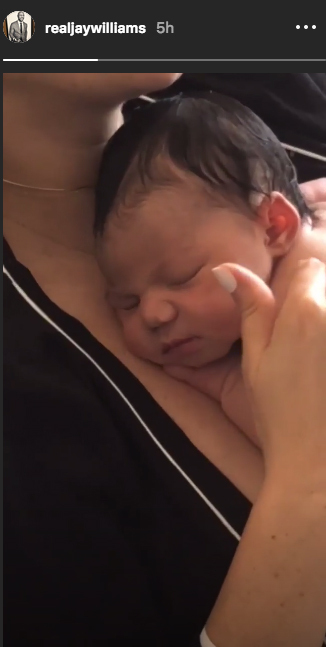 On Wednesday, Williams and wife Nikki Bonacorsi welcomed a baby girl. Jay and Nikki announced they were expecting a baby girl in May, just days after their wedding.